Thanks to Operation Once in a Lifetime and our supporters, we were able to help SGT Calles and his family with a $2000 grant. 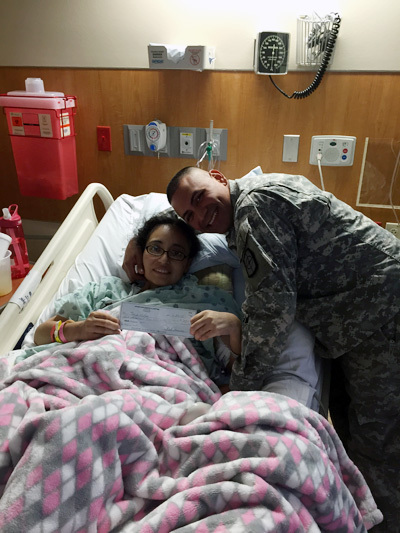 You also helped make it possible to install a XBox/DVD system in SGT Calles’ wife’s hospital room to make her 5 month recovery just a little bit more comfortable as the TV in her room only has 20 channels and she has limited mobility to get around. Her wish was to be able to watch some movies and play games with her husband.